The Industrial Revolution began in Great Britain in the 1780s. There were several reasons why it started there. First, agricultural practices in the eighteenth century had changed. More people could be fed at lower prices with less labor. Now even ordinary British families had money to buy manufactured goods. Second, with more abundant food supplies, the population grew. This increase created a large labor force to work in the new factories in Britain. Third, Britain had money to invest in the new industrial machines and factories. This money is called capital. Many British people were very wealthy and were interested in finding new business opportunities and new ways to make profits. These people are called entrepreneurs. Fourth, natural resources, such as coal and iron ore, were plentiful in Britain. Finally, Britain had a huge empire that gave the British many markets for their goods. 1764, James Hargreaves had invented a spinning machine called the spinning jenny, which made the spinning process faster. In fact, thread was being produced faster than weavers could use it. By 1787, Edmund Cartwright had invented a water-powered loom that made it possible for the weaving of cloth to catch up with the spinning of thread. It now became more efficient to do the work in factories, which were located near streams and rivers. The cotton industry became even more productive when the steam engine was improved by a Scottish engineer, James Watt. Watt made changes that allowed the engine to drive machinery. Steam power could now be used to spin and weave cotton. Before long, cotton mills were found all over Britain. By 1840, cotton cloth was Britain’s most valuable product. British cotton goods were sold everywhere in the world and were produced mainly in factories. The steam engine was crucial to Britain’s Industrial Revolution. For fuel, the engine depended on coal. The need for coal led to an increase in coal production. 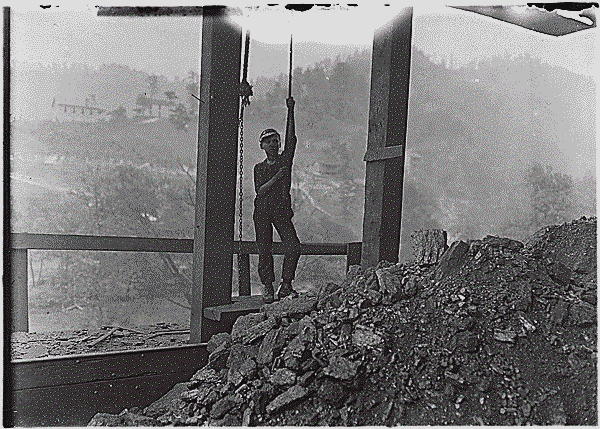 The need for coal increased even more when Henry Cort developed a process called puddling. In this process, coke (which was derived from coal) was used to burn away impurities in crude iron. This produced a better quality of iron. The British iron industry boomed. 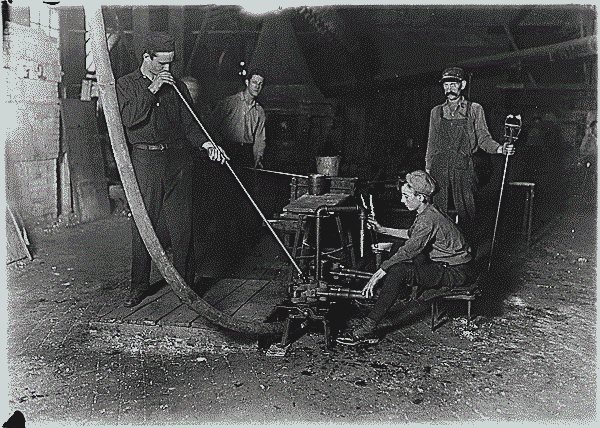 The high-quality iron was used to build new machines, especially new means of transportation. Railroads were particularly important to the success of the Industrial Revolution. In 1804, the first steam-powered locomotive ran on an industrial rail-line in Britain. By 1850, there were over 6,000 miles of railroad track across the country. 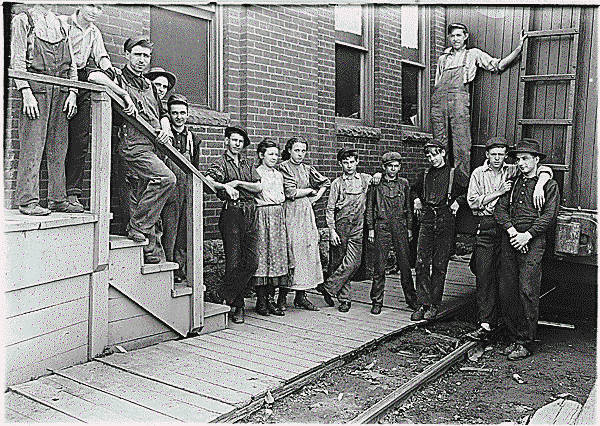 Building railroads created new jobs for farm laborers and peasants. Less expensive transportation led to lower-priced goods, which created larger markets. More sales meant more factories and more machinery. Factories created a new labor system. Factory owners wanted to use their new machines constantly. As a result, workers were forced to work in shifts to keep the machines running all day. Factory owners created a system in which employees became used to working set hours and doing the same work over and over. Adult workers were fined or fired for being late or for other misconduct. 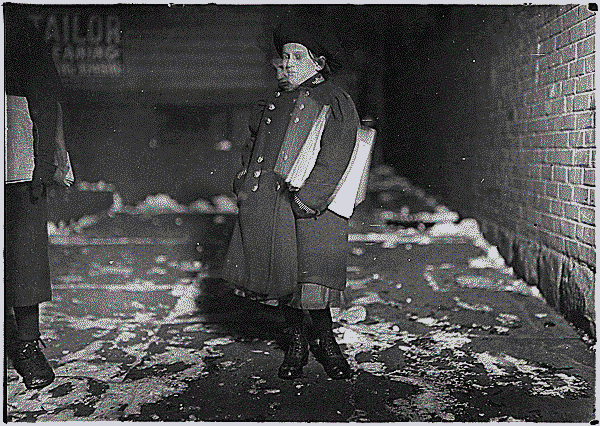 Child workers were often beaten. Question to Think About - How did factories create a new labor system? By the mid-nineteenth century, Great Britain had become the world’s first and richest industrial nation. It produced one-half of the world’s coal and manufactured goods. The Industrial Revolution spread to the rest of Europe at different times and speeds. The first countries to be industrialized in continental Europe were Belgium, France, and the German states. In these places, governments were very active in encouraging the development of industrialization. An Industrial Revolution also occurred in the new nation of the United States. In 1800, six out of every seven American workers were farmers. By 1860, only 50 percent of American workers were farmers. Labor for the growing number of factories in the Northeast came mainly from the farm population. Many of the workers in the new factories were women. 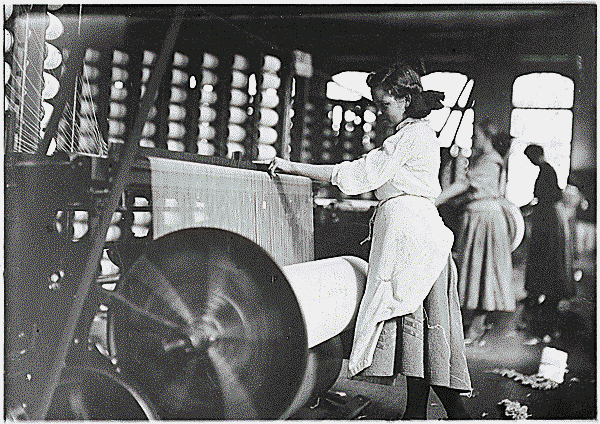 In fact, women and girls made up the majority of the workers in large textile factories. The United States was a large country in the 1800s. A transportation system to move goods across the nation was vital. Thousands of miles of roads and canals were built to link east and west. Robert Fulton built the first paddlewheel steamboat in 1807. By 1860, there were a thousand steamboats on the Mississippi River. The railroad was the most important part of the American transportation system. By 1860, about 30,000 miles of railroad track covered the United States. Question to Think About - What countries were the first to be industrialized in continental Europe? Why? The Industrial Revolution drastically changed the social life of Europe and the world. By 1850, the population of Europe had almost doubled to 266 million. The key to this growth was a decline in death rates, wars, and diseases. Because of an increase in the food supply, more people were better fed and resistant to diseases. Famine disappeared from most of western Europe. Cities and towns grew dramatically in the first half of the nineteenth century. The growth was directly related to industrialization. People moved from the country to the cities to find work in factories. The rapid growth of cities led to pitiful living conditions for many people, however. With the Industrial Revolution came the rise of industrial capitalism, an economic system based on industrial production. Industrial capitalism produced a new middle-class group—the industrial middle class. The new industrial middle class was made up of the people who built the factories, bought the machines, and figured out where the markets were. Their qualities included initiative, vision, ambition, and often, greed. The Industrial Revolution also created an industrial working class. Industrial workers had terrible working conditions. Work hours ranged from 12 to 16 hours a day, six days a week, with a half-hour for lunch and dinner. The worst conditions were in the cotton mills. The mills were hot, dirty, dusty, dangerous, and unhealthy. 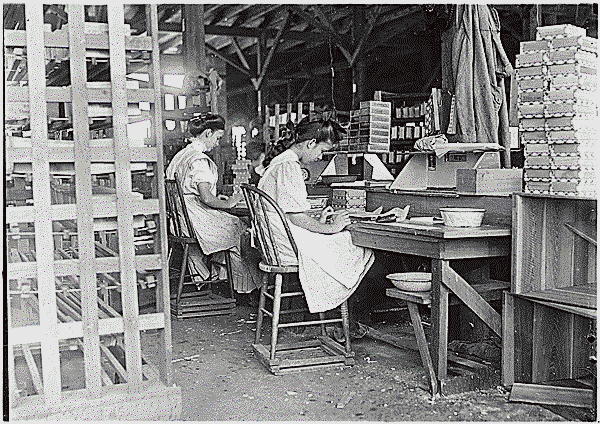 In Britain, women and children made up 2/3 of the cotton industry’s workforce by 1830. 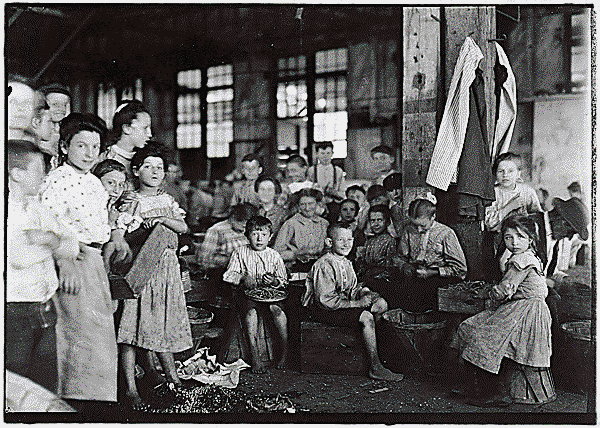 However, the number of children declined under the Factory Act of 1833, which set 9 as the minimum age for employment. As the number of children declined, women took their places. They were mostly unskilled labor and were paid half, or less than half, of what men received. Excessive working hours for women were outlawed in 1844. The laws that limited the work hours of children and women gradually led to a new pattern of work. In cottage industry, husband, wife, and children had always worked together. Men were now expected to earn most of the family income by working outside the home. Women took over daily care of the family and performed low-paying jobs, such as laundry work, that could be done in the home. In the first half of the nineteenth century, the pitiful conditions created by the Industrial Revolution gave rise to a movement known as socialism. Socialism is a system in which society, usually through government, owns and controls some means of production (factories and utilities, for example). Early socialism was primarily the idea of intellectuals who believed in the equality of all people and who wanted to replace competition with cooperation in industry. Later socialists called these early socialists utopians because they thought their ideas were impractical dreams. Robert Owen, a British cotton manufacturer, was one utopian socialist. He believed that humans would show their natural goodness if they lived in a cooperative environment. He formed two communities, one at New Lanark in Scotland and one at New Harmony, Indiana. The community at New Lanark flourished, but the one at New Harmony failed. Question to Think About - In what ways did the Industrial Revolution change the social life of Europe? Westerners in the late 1800s worshiped progress. The main reason for their belief in progress was the material growth created by what is called the Second Industrial Revolution. The first Industrial Revolution changed the production of textiles, iron, and coal. In the Second Industrial Revolution, new industries arose in steel, chemicals, electricity, and petroleum. The first major change in industry between 1870 and 1914 was the substitution of steel for iron. New methods for shaping steel made it useful in the building of lighter, smaller, and faster machines and engines. It was also used to make railways, ships, and weapons. Electricity was a major new form of energy. It could be easily converted into other forms of energy, such as heat, light, and motion. In the 1870s, the first practical generators of electrical current were developed. The use of electricity led to a series of inventions. The light bulb was created by Thomas Edison in the United States and Joseph Swan in Great Britain. Alexander Graham Bell invented the telephone in 1876, and Guglielmo Marconi sent the first radio waves across the Atlantic in 1901. Electricity also transformed factories. Conveyor belts, cranes, and machines could all be powered by electricity. With electric lights, factories could remain open 24 hours a day. The development of the internal combustion engine revolutionized transportation. This engine was powered by oil and gasoline. It made ocean liners, airplanes, and automobiles possible. In 1903, Orville and Wilbur Wright made the first flight in a fixed-wing plane at Kitty Hawk, North Carolina. Industrial production grew as sales of manufactured goods increased. Europeans could afford to buy more goods for several reasons. Wages for workers increased after 1870. Prices for manufactured goods were lower because of lower transportation costs. In the cities, the first department stores began to sell new products, such as clocks, bicycles, electric lights, and typewriters. Not all nations benefited from the Second Industrial Revolution. By 1900, Europe was divided into two economic zones. Great Britain, Belgium, France, the Netherlands, Germany, the western part of the Austro-Hungarian Empire, and northern Italy made up an advanced industrialized zone. These nations had a high standard of living and decent transportation systems. Another part of Europe was still primarily agricultural. This was the area to the south and east. It was made up southern Italy, most of Austria-Hungary, Spain, Portugal, the Balkan kingdoms, and Russia. These countries provided food and raw materials for the industrial countries. The Second Industrial Revolution and the growth of transportation by steamship and railroad led to a true world economy. By 1900, Europeans were receiving beef and wool from Argentina and Australia, coffee from Brazil, iron ore from Algeria, and sugar from Java. Foreign countries also provided markets for the manufactured goods of Europe. With its capital, industries, and military might, Europe dominated the world economy by the beginning of the twentieth century. Question to Think About - How was the Second Industrial Revolution different from the first Industrial Revolution? The desire to improve their working and living conditions led many industrial workers to form Socialist political parties and trade unions. These organizations emerged after 1870, but the theory on which they were based had been developed earlier by Karl Marx. In 1848, Marx and Friedrich Engels published The Communist Manifesto, which they had written. They were shocked by the horrible conditions in factories. They blamed the system of industrial capitalism for these conditions. They proposed a new social system. One form of Marxist socialism was eventually called communism. Marx believed that all of world history was a “history of class struggles.” One group of people, the oppressors, owned the means of production (land, raw materials, money, and so forth). This gave them the power to control government and society. The other group, the oppressed, depended on the owners of the means of production. Marx believed that industrialized societies were splitting up into two great classes. The bourgeoisie (the middle class) were the oppressors. The proletariat (the working class) were the oppressed. Marx predicted that the struggle between the two groups would finally lead to an open revolution where the proletariat would violently overthrow the bourgeoisie. After their victory, the proletariat would form a dictatorship (government in which a person or group has absolute power) to organize the means of production. Marx believed that the final revolution would ultimately produce a classless society. In time, working-class leaders formed socialist parties based on Marx’s ideas. Most important was the German Social Democratic Party (SPD). Once in parliament, SPD delegates worked to pass laws that would improve conditions for the working class. After the 1912 elections, it became the largest single party in Germany. Socialist parties also emerged in other European countries. In 1889, leaders of the various socialist parties joined together and formed the Second International. This was an association of national socialist groups that would fight against capitalism worldwide. Marxist parties were divided over their goals. Pure Marxists wanted to overthrow capitalism by a violent revolution. Other Marxists, called revisionists, disagreed. They believed that workers must continue to organize in mass political parties and even work with other parties to gain reforms. Trade unions were another socialist force working for change. In Great Britain, unions won the right to strike in the 1870s. (A strike is a work stoppage called by members of a union to pressure an employer into meeting their demands.) Workers in factories organized into trade unions so that they could use strikes to achieve reforms. By 1914, trade unions in Europe had made considerable progress in bettering the living and working conditions of the working classes. Question to Think About - What was the main difference in the beliefs of pure Marxists and revisionists? By the end of the nineteenth century, a mass society emerged in the industrial world. In this society the concerns of the majority—the lower classes—were central. Urban populations grew rapidly because of the vast migration to cities from rural areas (urbanization). 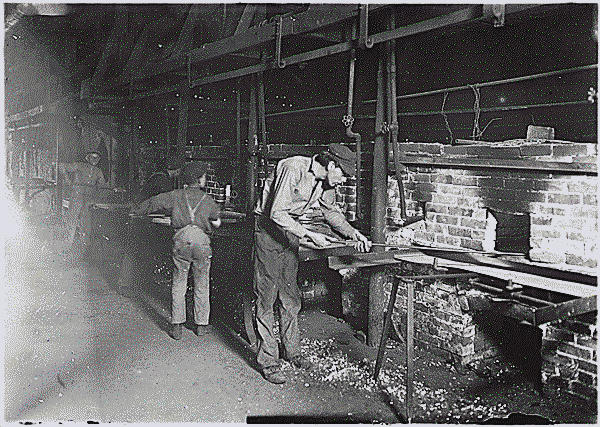 In the cities, people found jobs in factories and, later, in service trades and professions. 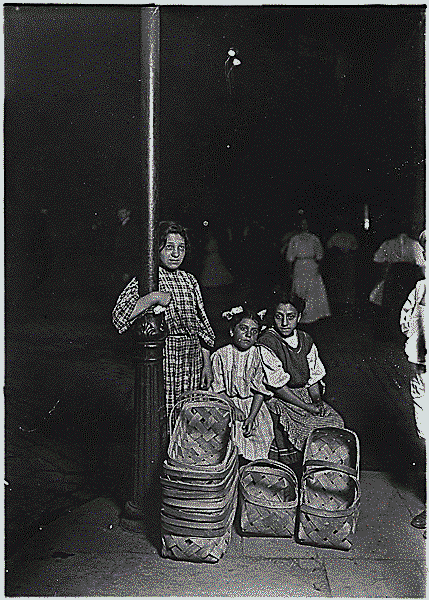 In the cities, most people were poor living in crowded buildings. There were no sewers. Garbage rotted in the streets and diseases spread quickly. Eventually cities living conditions improved so much that people could survive there longer. City governments created boards of health to improve the quality of housing. Dwellings were now inspected for health hazards. New building regulations required running water and drainage systems for all new buildings. The ability to bring in clean water and expel sewage was essential to the public health in cities. New systems of aqueducts, tunnels, and pipes made this possible. Question to Think About - What changes were made in cities in the nineteenth century to improve the public health? 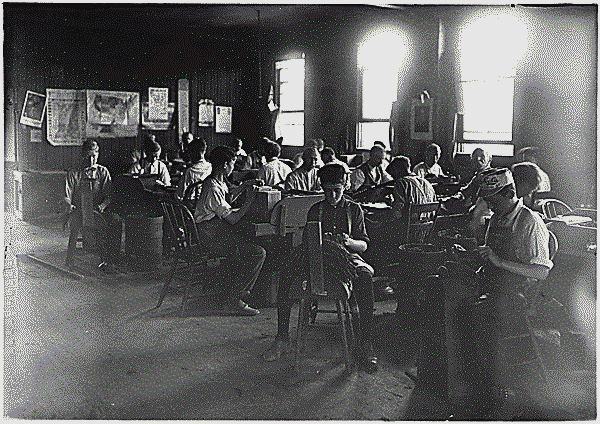 Men, women, and children worked hard in the factories 12 to 16 hours a day for only a few cents an hour. The work was boring and machines were dangerous. If workers were sick or injured, they lost their jobs. 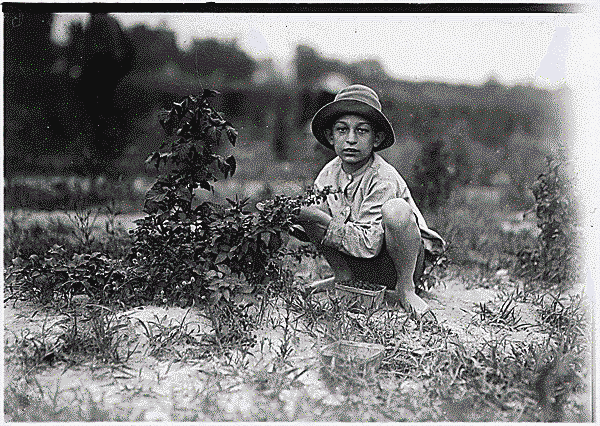 Children worked as hard as adults, for even lower ages. Parents let their children work because the money children earned was needed to support their families. Eventually, laws were passed to improve working conditions. 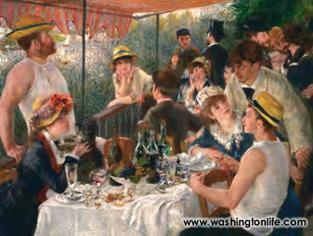 After 1871, most people enjoyed an improved standard of living. Even so, great poverty remained a part of Western society. The wealthy elite were at the top of European society. This group was only 5 percent of the population but controlled 30 to 40 percent of the wealth. It was made up of the landed aristocrats and the most successful industrialists, bankers, and merchants (the wealthy upper middle class). Members of the elite became leaders in the government and military. The middle classes consisted of a variety of groups. Below the upper middle class was a middle group that included lawyers, doctors, members of the civil service, business managers, engineers, architects, accountants, and chemists. Beneath this middle group was a lower middle class of small shopkeepers, traders, and prosperous peasants. The members of this group provided goods and services for the classes above them. The Second Industrial Revolution produced a new group of white-collar workers between the lower middle class and the lower classes. Although not highly paid, these white-collar workers were often committed to middle-class ideals. The European middle classes believed in hard work. They were also regular churchgoers who associated good conduct with Christian morality. Below the middle classes on the social scale were the working classes. They made up almost 80 percent of the European population. Many of the members of these classes were peasants, farm laborers, and sharecroppers. 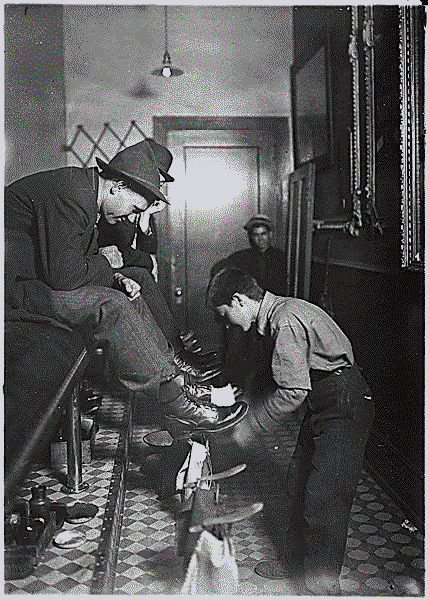 The urban working class consisted of many different groups, including artisans and semi-skilled laborers. 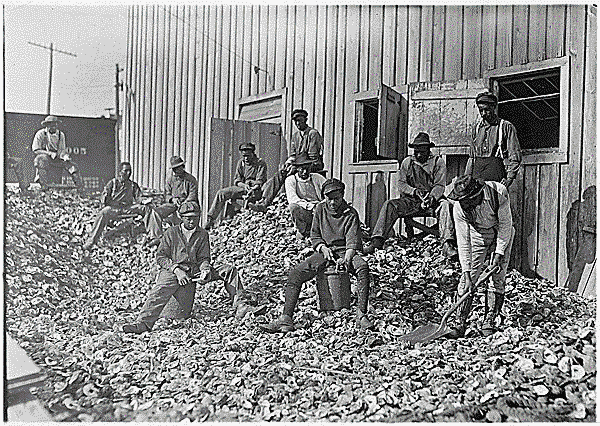 At the bottom of the urban working class were the unskilled laborers. They were the largest group of workers and included day laborers and large numbers of domestic servants. Urban workers experienced an improvement in their lives after 1870. Reforms created better living conditions in cities. As wages increased and the cost of consumer goods declined, workers could buy more than just food and housing. Workers now had money for more clothes and even leisure activities. At the same time, strikes were leading to 10-hour workdays and Saturday afternoons off. Question to Think About - In what ways did the lives of urban workers improve after 1870? Print out the following assignment and complete the questions. Submit your completed assignment along with your presentation to Mr. Springer. You will need to present your findings to Mr. Springer either before or after school to receive the full amount of credit of 15 points on a test grade. Let Mr. Springer know of any questions that you may have. "There is work that profits children, and there is work that brings profit only to employers. The object of employing children is not to train them, but to get high profits from their work."